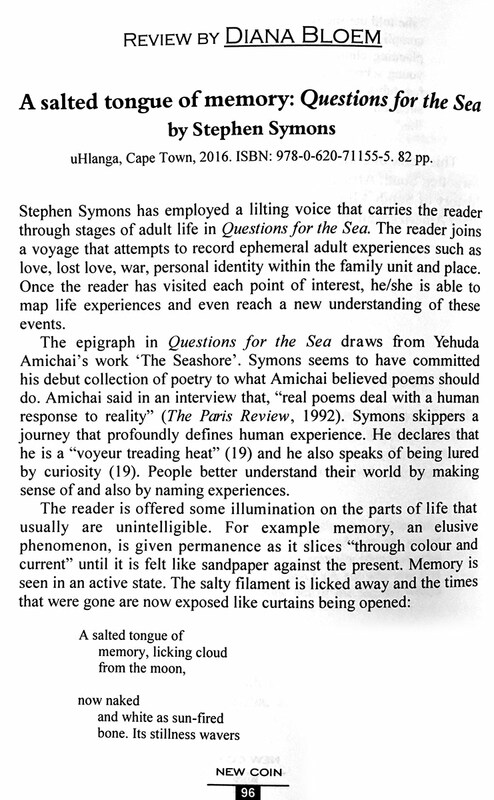 The other reason Stephen Watson has been in my mind is because I recently acted as a judge for the Ingrid Jonker Prize for a debut collection of poetry. 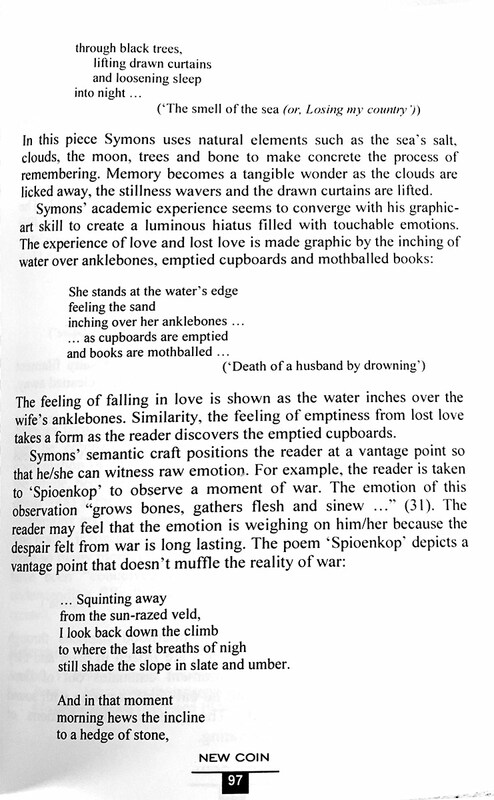 Judging poetry is a truly impossible task, because good poetry puts the reader’s own feelings into words, or as a wonderful poet once told me, “It travels direct from the eye to the heart”. So how do you place merit and value on that which plays your heart like a jazz drummer, each volume, each poem tapping out a different rhythm? 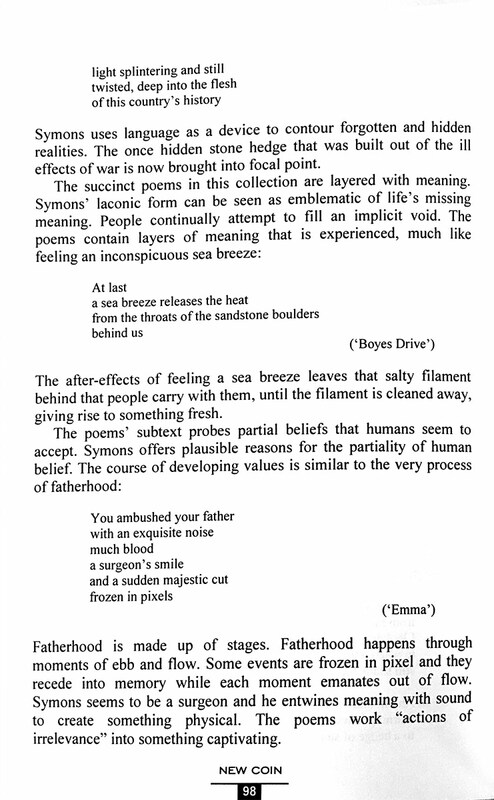 Do you reward the words that make you weep, or laugh, or both? I’m hoping to write reviews of the collections I really loved (there were a lot! 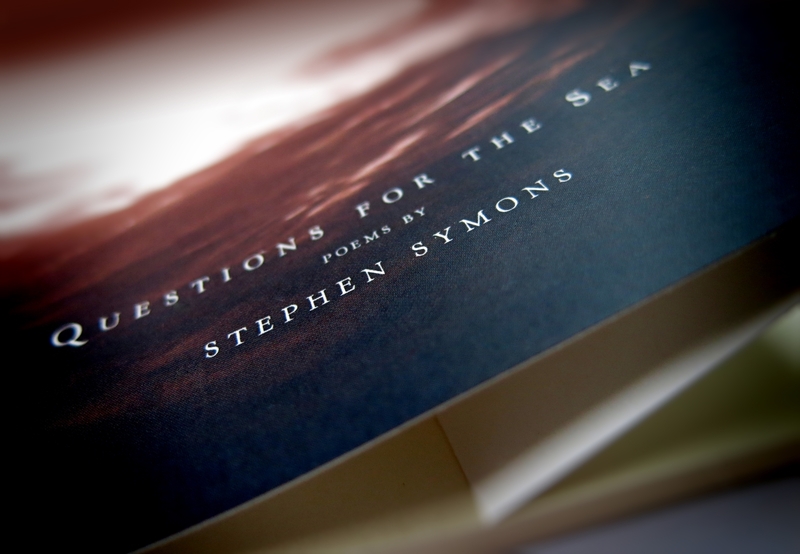 ), but one of the ones that swept me off my feet was Stephen Symons’s Questions for the Sea (uHlanga Press). 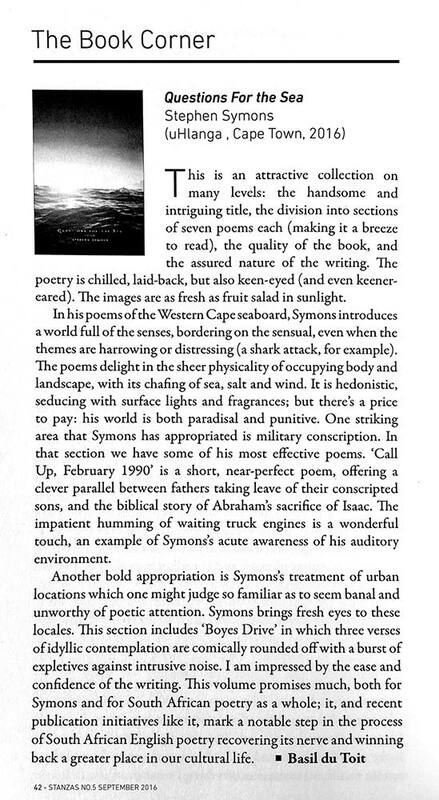 There are a dozen aesthetic and literary reasons to praise this exquisite collection, but my response to it was first and foremost emotional: something about his voice reminded me of Stephen Watson’s. 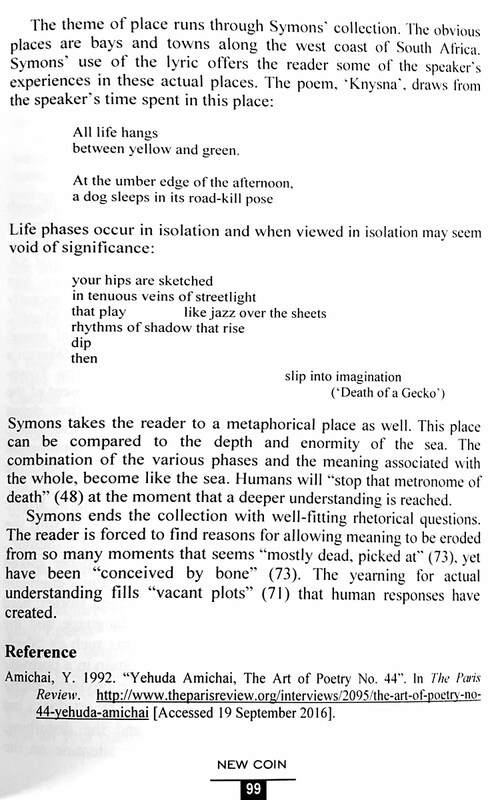 In some ways, Symons’s spare and understated lines are very different, but something about the way he looks at a beautiful location and holds time still in it; something about the way he captures light: these are familiar, these I love. But don’t take my word for it: just read this.